As a blog manager, one of the first things I always do when creating a new blog is design a logo. For those of you who have created blogs or websites in the past, you’ll already know that creating a logo isn’t as easy as people think. Unless you’re an expert with Photoshop or some other editing tool, creating an exceptional logo for your site is often a difficult task. I for one am not an expert when it comes to photoshop. So for me, creating a brand new logo is often a time-consuming project filled with frustration. Luckily, I’ve found an amazing tool that helps create professional looking logos in a fraction of the time. When it comes to creating high-quality, professional logos, there’s simply no easier way than by using the DesignEvo logo maker. 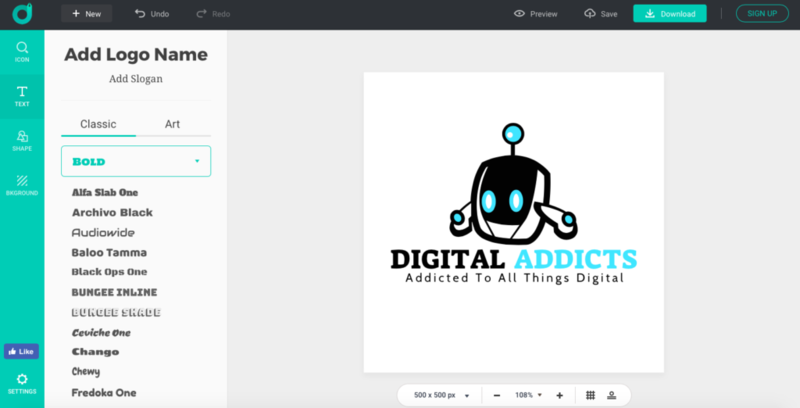 With thousands of pre-made logos to choose from, there’s guaranteed to be something that fits in your specific site. And with a multitude of different options to help customize your logo even further, the only limits are with your imagination. Below, I’ll walk you through the quick and easy steps I used to create my very own logo. 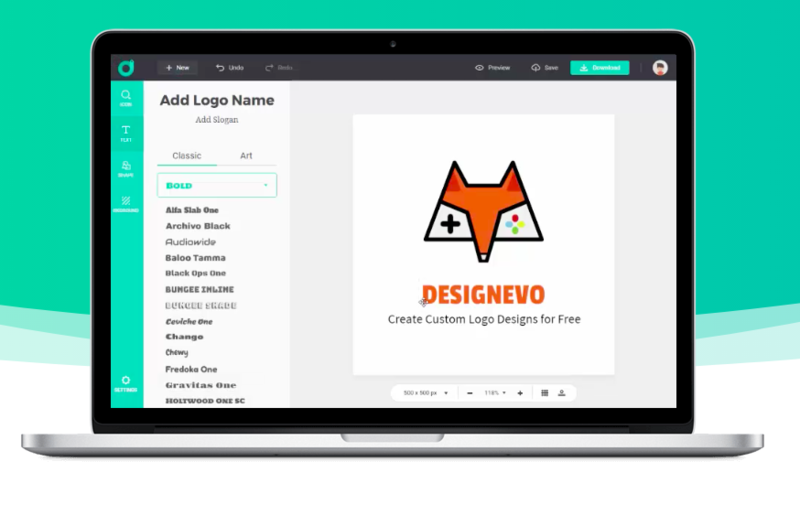 To begin using the DesignEvo logo maker, start by navigating to their website at https://www.designevo.com. From the homepage, you have one of two options. You can begin by either signing up for a free account, or clicking on the “Make a Logo” button in the top left corner of the page. Either option is fine as clicking on the “Make a Logo” button will prompt you to create a free account after you’re done customizing your logo. For the sake of these instructions, I clicked on the “Make a Logo” button to progress to the next step. 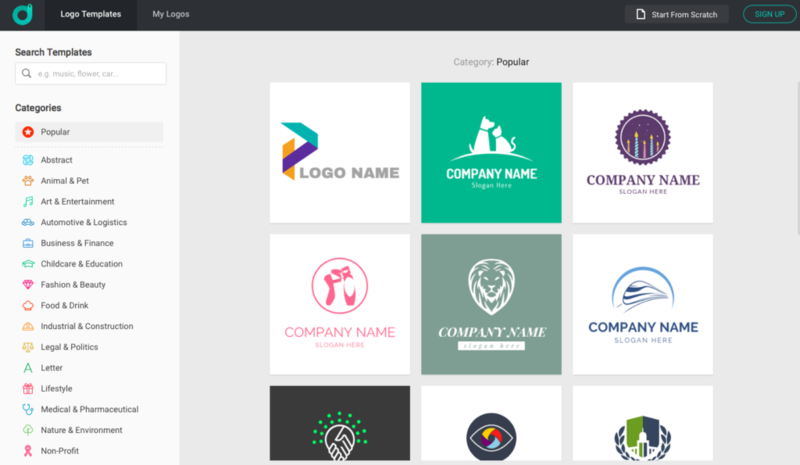 After clicking on the “Make a Logo” button, you will be brought to the templates page. From here, you can choose from thousands of pre-made logos and edit them in any way you see fit. There’s also a helpful categories menu on the left hand side of the page that will help you narrow down your choices. This is perfect for creating logos for new blogs or websites, as you’ll already know what niche the site will cater to before attempting to create a logo anyways. Looking through the thousands of pre-made logos also aided in my creativity, as each new logo I scrolled past gave me another idea for my own. 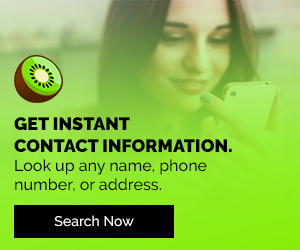 Once you’ve found a particular design that you like for your logo, simply click on it to proceed. 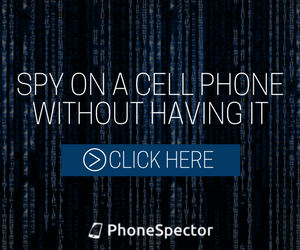 A small pop-up will appear prompting you to enter in your company name and slogan. Both of these options are completely optional, however, I would recommend that you at least enter in a company name. As having the name of your blog or website in the logo is a good idea for a new brand. For those of you who are far more creative than I, you can opt to create a custom logo from the ground up. To do this, click on the “Start From Scratch” button at the top right of the page. Now the fun begins! From here you can edit every part of the pre-made logo. Including; text style, size, borders, shadows, colors, contrast, backgrounds. You name it, you can change it. And it’s so simply to use, anyone can do it! For example, the logo in the above screenshot took me all of five minutes to create. If I were to try and create this same logo using photoshop or another design tool, it would have taken me hours to complete. And it wouldn’t have come out nearly as clean looking as this one. Once you’ve finalized your design changes, simply click on the “Download” button in the top right to continue. From here, you’ll see a few different options to choose from. You’ll have the free, low-resolution option if you want to test out the logo and see how it looks on your site (you’ll have to give credit to DesignEvo as well). But once you’ve decided on the perfect logo, you should really go with either the basic or plus option. 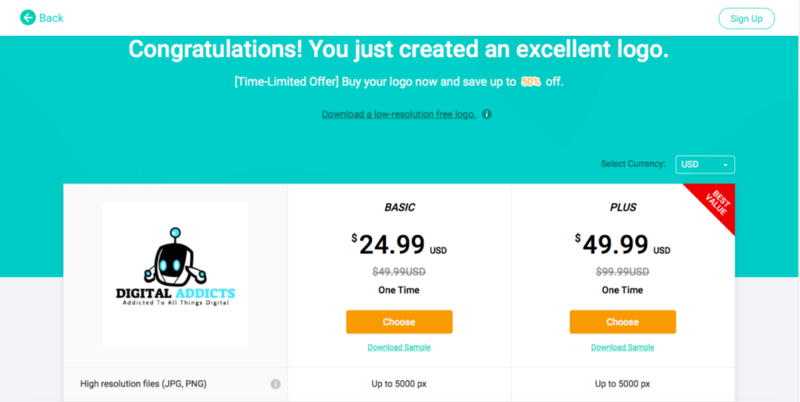 Both of these options will allow you to download your custom logo in high-resolution, which is incredibly important for a logo on any site, new or old. The main difference between these two is, the additional files that come with plus. By choosing the Plus option, you’ll receive both the vector files (PDF and SVG) as well as any font files that were used in your logo. An added bonus of going with plus is, you’ll obtain copyright ownership over the logo as well. Once you’ve chosen a payment method, you’ll be able to download your new logo! And if you’ve decided to purchase either the basic or plus package, you can always go back into your DesignEvo account and download the file in the future. So you’ll never have to worry about losing your logo files again! Overall, my experience with DesignEvo has been a pleasant one. Its easy to use interface allowed me to create the perfect logo for my website in no time at all. And the pre-made logos really helped me with the overall design I had in mind. So, if you’re like me and you’re not the most adept person at photoshop, or you simply don’t have the time to invest in creating a brand new logo from scratch, I highly recommend you try out DesignEvo. Did you enjoy reading this review on DesignEvo? If so, check out the rest of our reviews at Digital Addicts.